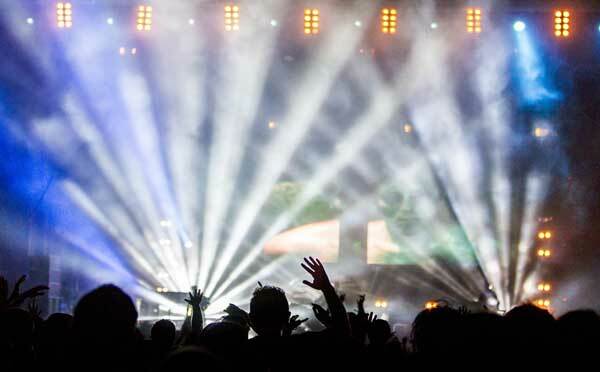 If you have come across an entertainment ground with special effects like beams of lightning cutting through the venue to set the mood, that is the handwork of the fog machine. The fog machine is a device that is mostly used by professionals in the entertainment industry to produce artificial dense vapors that have the same look and effect as a fog. Portable designed fog machines can be used to add more fun or spooky scenarios at haunted houses or individual parties. Smoke: The fog machine can be made to create smoke effects by using Smoke cookies, smoke cartridges or other inflammable substances. Fog: This effect can be created by mixing a fog fluid inside a heat exchanger or otherwise known as the fog machines. The substance will be heated until the liquid part of it vaporizes and turn into a thick visible cloud. Haze: This machine uses a substance known as the haze fluid to create effects like lightning beams. Liquid Carbon dioxide: Carbon dioxide can be used together with specially designed fog fluid in order to produce very thick and powerful billowing plumes. When this substance is released into the atmosphere, it expands into a vapor to condense the moisture in the air to produce special effects. Dry Ice: The combination of carbon dioxide and dry ice causes a sublimation that creates a gas. This gas then condenses water vapor to produce a solid white fog that will produce low-lying fog effects. Liquid Nitrogen: This substance can be heated inside the fog machine to a boiling point thereby creating steam and elevating the humidity. When the moisture inside the machine condenses, it would create the thick white fog that would produce the low-lying fog that rolls to the ground. This machine makes use of water that is combined with glycol or glycerin-based liquids or mineral oil that has been atomized to create special fog like effects. All these actions take place right inside the machine so that when the vapor comes out from the machine to mix with the air outside, you can see a thick fog. The outside air allows the vapor emitted from the machine to condense to make it more visible to the human eye. Although fog machines used to have some adverse effects in the past, its technology has been modified and upgraded to be safe and more effective. This fluid which is otherwise known as the fog juice is installed inside the fluid tank and made to pass through the heat exchanger with the help of a pressure pump. When the heat exchanger reaches the maximum temperature of 400 degrees Fahrenheit, it reduces the liquid substance into a vapor. It is this vapor that is passed through the nozzle of the machine to be released into the air. If this released vapor meets the cool atmosphere, it immediately transforms into the opaque aerosol that we know as the fog or smoke that is visible for us to see. The process that is used to vaporize the fog machine fluid is usually known as the "flashing". Majority of the fog machine fluid that you see in the market today are mostly water based or water and glycol mixture. That is why; you should make sure that the fog juice you are using is the recommended brand for your machine. There are specific fluids designed for each fog machine to enable it to perform effectively. If you disregard this instruction and make use of anyhow fog juice, it will surely result in low-quality fog release that may be harmful or dangerous to the machine itself. The fog machine pump plays an important role in the process of delivering the fog fluid. It is otherwise referred to as the piston pump which is used to transfer the fog juice from the machine tank to a heat exchanger. Whenever the piston pump is in action, you will always hear a certain noise that emits from the piston to confirm its operation. Make sure that the pump does not release the fluid too fast or it will cause the heater to switch off very fast. This is due to the fact that the fluid going through the metal block is excessive. This component is built like a block metal with the installation of a heating element. Built inside it is a thermostat that regulates the temperature inside. When the heating session of the fluid is completed, it then flows through the nozzle of the fog machine as a vapor. The fog machine nozzle is designed with a brass material. It has small openings that allow vapor to be released when high pressure is asserted. This makes the nozzle and its opening to remain hot to the touch and highly inflammable. The fog machine comes together with a one button remote control which helps to simplify its operation. The button on the remote control is usually pressed down anytime you want to release the fog to the atmosphere. It is advisable to use a remote control that has timer settings which will allow you to set the appropriate time that the fog should be released. You can use the fog machine remote control to measure the exact quantity of the fog you want to release and how long the released fog can last. The fog machine creates special atmospheric effects that can be used in television programs, film productions, concerts, amusement parks, theaters, nightclubs, video arcades and other likely entertainment venues. In fact, the fog machine is a must have if you want to produce mid-air laser visible effects that you can use to set the atmosphere in a specific thyme to entertain your audience.